TheLEADERThe average fuel price in the third quarter rose by 37.5 per cent over the same period, which caused the total cost of Vietnam Airlines to increase higher than its total revenue. 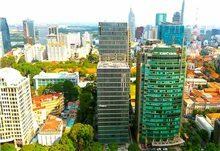 Vietnam Airlines Corporation (stock code: HVN) reported in the third quarter of 2018, its revenue reached over VND73.5 trillion ($3.16 billion),18-per cent increase year on year (yoy) while its net profit fell 17 per cent yoy to VND1,968 billion ($84.6 million). The consolidated revenue of HVN includes Vietnam Airlines and 20 subsidiaries, including Jetstar Pacific. Vietnam Airlines’ revenue reached VND54.2 trillion ($2.33 billion) in the first nine months, up 13 per cent from the same period last year but profit after tax fell 8.5 percent to VND1,648 billion ($70.8 million). 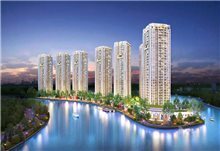 The overall development of the tourism industry in Vietnam from the beginning of the year has boosted HVN’s revenue. HVN’s airfreight revenue increased by 16 per cent yoy, thanks to the growth of charter flights, mainly to East Asia and the contribution of Jetstar Pacific. According to Vietnam Airlines, the main reason why profit decreased while revenue increased is that fuel prices from the beginning of this year has increased dramatically. In the third quarter, fuel prices rose by 37.5 per cent compared to the same period last year. Gross margin also fell from 15.4 per cent to over 13 per cent. Currently, Vietnamese airlines use Jet-A1 for their flights. The price of Jet-A1 gasoline rose as oil prices peaked, reaching at nearly $80 a barrel sometime. The aviation industry is characterized by a very high share of fuel costs on operating costs, approximately 50 per cent. With oil prices inching up a few percent, airlines may lose all of it profits. Another reason for profit decline is the difference in foreign exchange losses. 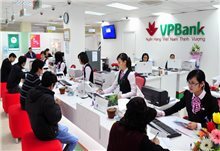 In the first nine months, financial expenses increased by 12.4 per cent yoy to VND2,948 billion (nearly $167 million), mainly due to a forex loss related to a $1.8 billion loan of HVN. It is forecasted that HVN will hardly gain satisfactory business results in the fourth quarter due to low travelling demand. To stimulate the demand, airlines are often forced to lower their ticket prices, causing low revenues for other quarters during the year. In fact, HVN also often suffered losses or obtained very low profit in the fourth quarter. In the fourth quarters of 2015 and 2016, HVN reported losses of VND152 billion ($6.53 million) and VND70 billion ($3.01 million), respectively; Last year, the corporation reported a profit of only VND6 billion ($258,009). However, there are still positive signals for HVN. The prices of oil after peaking have decreased. In the past month, the price of WTI oil has dropped from nearly $80 to $60 per barrel. Brent oil prices also fell from nearly $90 to $70 a barrel, which helped fuel prices fall. 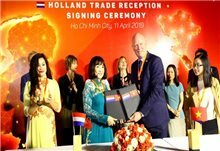 According to Viet Capital Securities (VCSC), although HVN does not have an attractive growth like Vietjet Air, investor can find investment prospect in HVN. Currently, Vietnam Airlines is still dominating domestic routes as well as routes linking Vietnam with regional centres, along with its subsidiaries and affiliated companies which enjoy monopoly power or have only one competitor in the aviation service market.